This is the original text of Frankenstein as published in 1818. A much tighter, swifter text than the heavily revised 1831 edition, edited by Shelley, in part, to make the story more conservative. This edition includes the essay "Mother Frankenstein" by Brother Jonathan, O. S. B.
TheUglyCupcake (Grade: A–) A beautiful insight into the human condition as well as an interesting read. Certainly a book that should be read by all. underdog92 (Grade: B+) Frankenstein, in my opinion, was a critical story in which we peruse the relationship between creation and creator in closer view beyond any religious standpoints. Here we have Victor Frankenstein (our metaphorical god) and his monster (Adam) in a constant struggle driven by curiosity and regret. Though the similarities do not match up 100% to the biblical creation narrative, we have many parallels. It is a moving tale in that, I for one, feel that the monster was merely a pawn. VonBrandtner (Grade: A) Classic. Everybody should read this book. The first true horror novel. If you haven't read it you probably have no idea of what it is actually about. 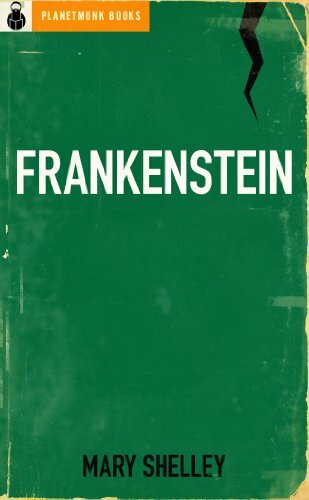 Andy (Grade: B+) Frankenstein is thought to be one of the first real works of sci-fi, and so is important in understanding the rest of the genre. Because it is written in such an old-fashioned style, it takes a while to get used to the frame narratives and letter writing that modern novels have done away with for the most part. NekroMarshall (Grade: A–) Very, Very slow for the first two acts. Act three, however, is well worth the wait!